Over 5.7g of BCAAs per serving. Protein Requirement for a sedentary individual is 0.8-1g/kg body weight. However, for an exercising individual, the requirement increases upto 1.5-2g/kg body weight depending on activity levels. Mix 1 scoop with 8 oz. of cold water in the morning and 1 serving immediately after exercise on training days. On non-training days, take 1 scoop in the morning and one scoop in the afternoon. 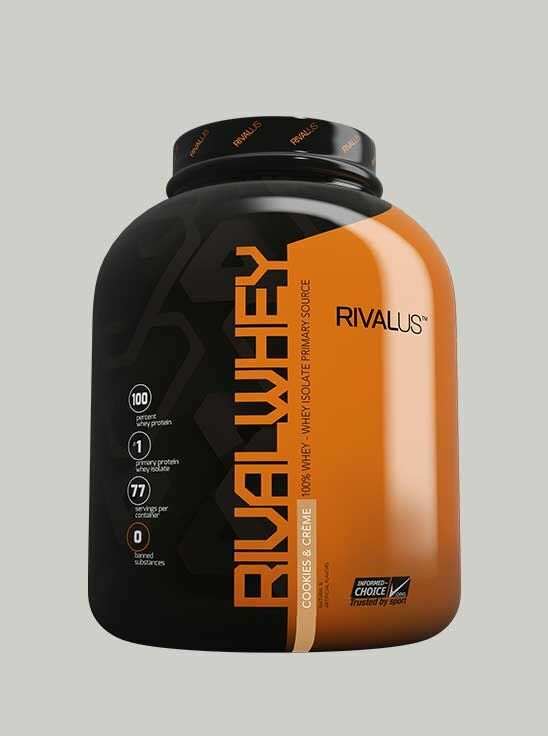 For best results, use RIVALWHEY every day and combine with resistance training 3-5 days per week. The ideal times to consume RIVAL WHEY- first thing in the morning and post-workout, so as to stop catabolism (breakdown of muscle) and kick-start anabolism (muscle synthesis) respectively. Apart from the above mentioned times, RIVAL WHEY can also be consumed with/in-between meals to meet up daily protein requirement. 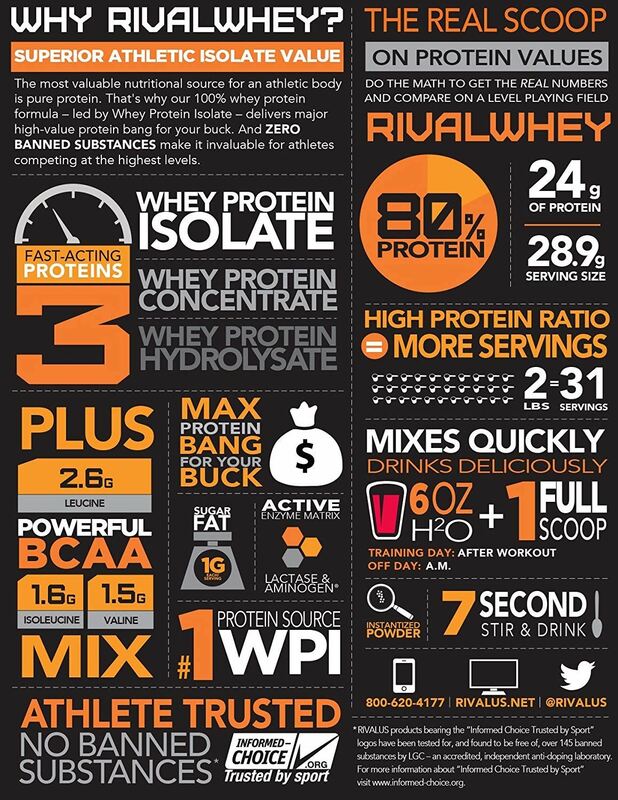 Q.1 What is RIVALWHEY Product? Q.4 Is RIVALWHEY suitable for consumption for vegetarians? Q.5 Is RIVALWHEY easy to digest? Q.6 What is the ideal time to consume RIVALWHEY protein? The ideal times to consume RIVALWHEY, first thing in the morning and post-workout, so as to stop catabolism (breakdown of muscle) and kick-start anabolism (muscle synthesis) respectively. Apart from the above mentioned times, RIVALWHEY can also be consumed with/in-between meals to meet the daily protein requirement. Q.7 If RIVALWHEY is a protein derived from milk, why cant I meet my protein requirements from diet alone? Q.8 Since RIVALWHEY protein is a protein powder; do I still need it if I eat chicken, fish on a daily basis? Q.9 Will RIVALWHEY protein cause weight gain? Q.10 Should I consume RIVALWHEY in Milk or water? RIVALWHEY should not be mixed with milk, as there is no point in increasing the lactose load by having in milk. Hence, consume it in water.